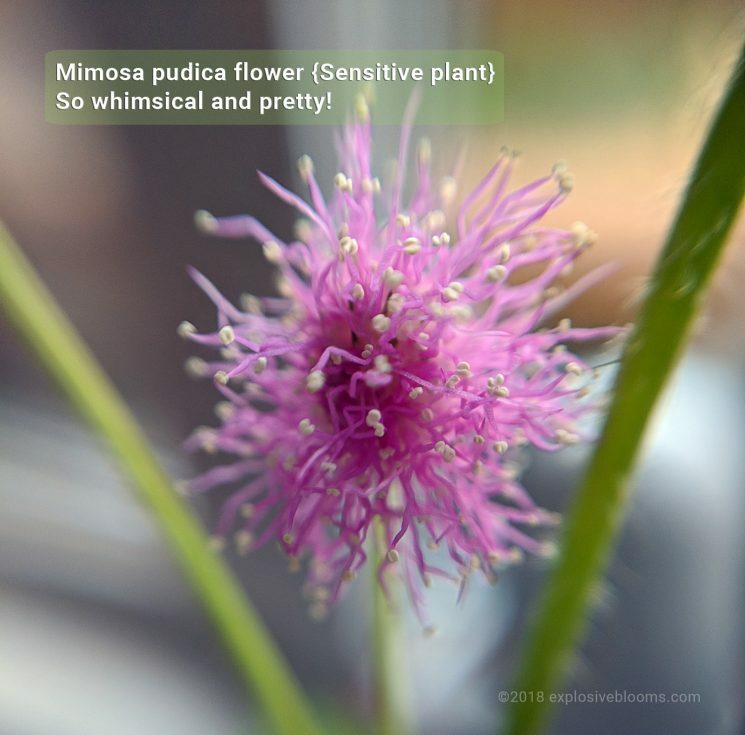 Before bed last night, I took one more look at miss sensitive (mimosa pudica) and wondered about the green buds. This morning – HELLO! Isn’t that flower the most precious thing? It makes me think of a fairy puff or something related to fairies like Tinkerbell. This is actually not my original sensitive plant, as that one was one of the few casualties upon my return from my holidays. I think the lack of cool air in the house cooked the poor plant. 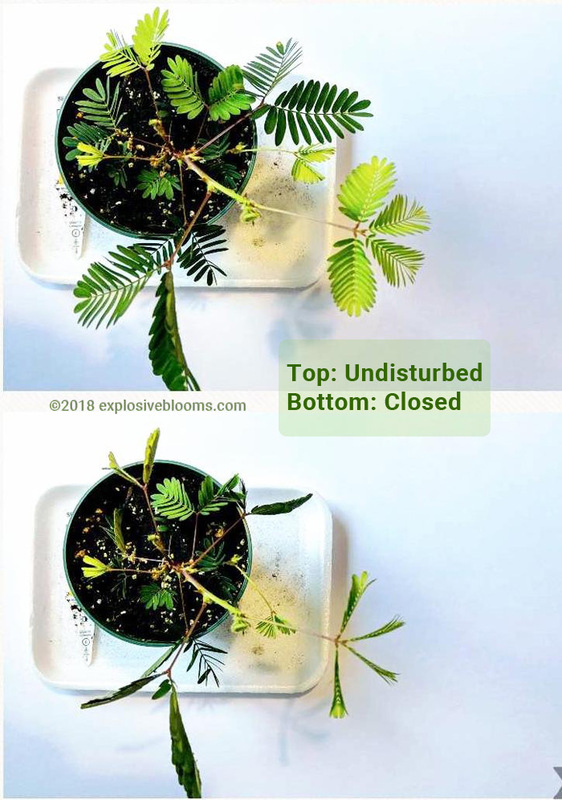 The really cool thing about this plant (and the reason behind its common name, sensitive plant) is that when you touch its leaves, it will automatically close up. Depending on the severity of the touch, it may only close up a few leaves, or all leaves will close and it will wilt and play dead. At night, it closes up it’s leaves (but won’t wilt). I liked my original plant, which was bushier. I need to prune my current plant if I want it fill out; however, I don’t want to cut off the flower/buds! 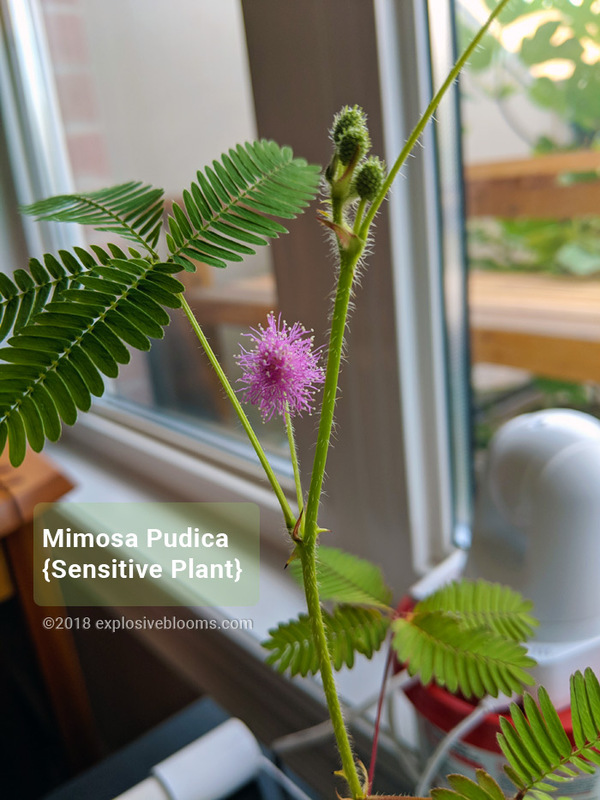 This brings me to an interesting podcast I listened to about how the mimosa pudica plant could be trained to stop being fearful, similar to this article from the NY Times. I have not attempted this test on miss sensitive as I have no desire to stress her out. I am trying not to get too attached because this tropical plant (originating from Central and South America) is considered more of a novelty plant; an annual or long-lived perennial that generally lasts a season or two. I found that Stokes sells seeds, and it takes 2-3 weeks to germinate. Or of course, you can purchase the plants. I’ll keep miss sensitive for as long as I can. For now, the weather is perfect, especially when I don’t turn on the AC. It’s a humidity-loving plant.